From the implementation of different WordPress plugins up to creating website contents, being simple will definitely make your website look more professional. Putting up an overly tweaked page will just send your visitors out from your website. Remember that your WordPress site’s primary aim is to assure your visitors’ website experience. Considering installing only what’s essential for your WP website will help you get hold of your visitors by giving them a good user experience. Keep in mind that when you are creating a website, there’s a main content and supporting information. The main content include the chief point or thought of your post and supporting contents consist of the sidebar widgets, advertisements and other added links. Going after this uncomplicated advice will help you avoid your audience from ditching your website. 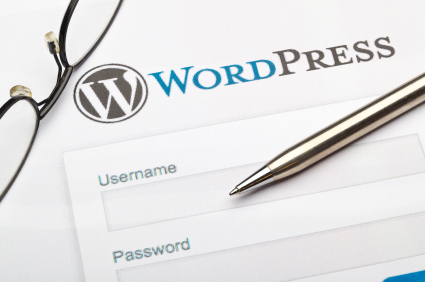 Take time to read these simple strategies for a better WordPress website. Steer Clear Your Site from Too Many Ads Avoid outweighing your website contents by too many advertisements. Your visitors might get confuse by too many ads. It will give them a hard time finding what they want from your website and once your visitors are annoyed by your too-many-ads website, a great loss of possible customers might take place. You would not want that to happen right? Therefore, take time to limit the amount of ads on your WordPress site to avoid distracting their user experience. Organize Your Widgets and Sidebar Putting up fun and awesome widgets can be enticing to place on a website’s sidebar. But we should know that too much of it might distract your audience from absorbing primary information on your website. Remember to set yourself boundaries from adding cool widgets onto your website because not all of them are useful and essential to website’s development. Examples of widgets that are worthy to be added on your site’s sidebar are post and page link’s, blog archive, and tags widget. Widgets like Twitter feed are not necessary unless your Twitter plays an important role in the development of your site like when it serve as a social media marketing platform wherein you advertise your business or when you just like your visitors to keep track of your business’ updates. Another is the Facebook widget. If you use Facebook as a marketing tool, you may put a link that will redirect to liking your Facebook business page to increase your Facebook likes. Widgets that are just fun and not useful are not necessary unless your page is a recreational website. Observe Your Content’s Word Count Readers are more into contents that are easy to inhale. They don’t want to waste their time reading unnecessary details on your content. Usually, content’s word count ranges from 500 â€“ 800 so when you feel like exceeding this word count, you might want to opt in dividing your post into two blog posts. Avoid too many pointless and redundant sentences to help yourself limit your word count and deliver you main message effectively. To summarize it all, being simple in creating your WordPress site can do wonders. Lots of interruptions in a page could possibly turn off a visitor and lose a prospect. Take time to limit your ads. Also, observe and organize your widgets for a more professional look. Keep track of your word count as well to effectively supply your visitors the things they really need. Scrutinize yourself to always set the supporting information aside and your main points on the top. Thinking of Using WordPress...? Let's talk about how we can help you!